This file is provided for convention and conference organizers in need of a shorter version of John E. Stith's bibliography and biography. Please cut and paste what you need. This text may be found at www.neverend.com/short-bio-john-e-stith. John E. Stith is the author of nine novels, including REDSHIFT RENDEZVOUS, a Nebula Award nominee, and MANHATTAN TRANSFER, a Hugo Award Honorable Mention. Several of his works with Ace Books and Tor Books have been bought by the Science Fiction Book Club, optioned for film, and translated into numerous languages. He has optioned several feature-film screenplays, and has sold to television (Star Trek). Complete information on his works may be found at www.neverend.com. A photo is available at www.neverend.com/sites/default/files/graphics/jsphoto.gif. During 2016 and 2017 his backlist was re-released in trade paperback and all major ebook formats from ReAnimus Press. His latest novel is PUSHBACK, a mystery-suspense novel published in November 2018 from ReAnimus Press. He received a B.A. in physics at the University of Minnesota. After service as an Air Force officer, which allowed him to work in the NORAD Cheyenne Mountain Complex near Colorado Springs, and took him to Alaska for a year, he entered private industry at Goddard Space Flight Center in Maryland. 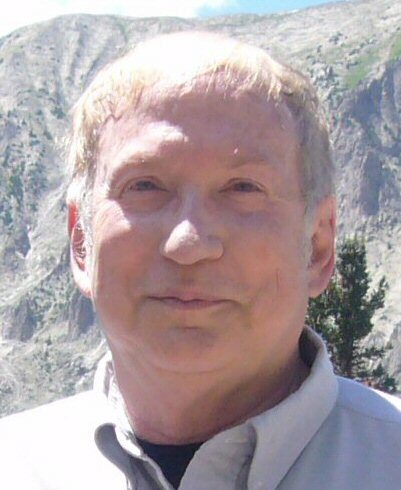 In the seventies he returned to Colorado Springs, and his work included several software engineering and management positions. In 1977 he began writing non-fiction, and in 1978 he began writing fiction regularly. "Stith" rhymes with "Smith." He is married to Karen Flitton Stith. Longer Bio at http://www.neverend.com/biography . SCAPESCOPE (Ace, 1984) set in the NORAD underground complex. A man content with the status quo sees a glimpse of the future, saying he'll be on the political criminal list. MEMORY BLANK (Ace, 1986). An amnesia victim on a space station finds tantalizing stranger for a wife, a wise-cracking wrist-computer as an ally. As he tries to restore his memories, he learns things are far worse than he thinks. DEATH TOLLS (Ace, 1987). An ex-reporter on Mars tries to find out if his brother was murdered, and wonders why TV reporter Janet Vincent reaches disasters so fast. DEEP QUARRY (Ace, 1989). A private eye on a desert planet discovers buried alien starship inhabited by aliens who don't like being found. REDSHIFT RENDEZVOUS (Ace, 1990). One man must stop hijackers from using a strange starship to plunder wealthy colony. Aboard the Redshift, light moves so slowly you can see its passage. SF Book Club selection, HOMer Award winner, Nebula Award nominee. MANHATTAN TRANSFER (Tor, 1993-4). Aliens kidnap Manhattan. SF Book Club selection. One of eight 1993 books on the preliminary Nebula Award ballot. Hugo Award honorable mention. Seiun Award nominee (Japan). REUNION ON NEVEREND (Tor, 1994-5). At a high-school reunion in space, an undercover agent must blow his cover to save an old flame, and he involves her in an interplanetary chase. HOMer Award nominee. On the Science Fiction Chronicle best of year list. RECKONING INFINITY (Tor, 1997-8). Explorers sent deep into the interior of a moon-sized alien creature encounter treachery. SFBC selection. On SFC Best SF of 1997 list. On Nebula Award preliminary ballot. On New York Public Library's Best Books for Young Adults list. PUSHBACK (ReAnimus Press, 2018) At his ten-year high-school reunion, an investment counselor finds he doesn't know one person there, and soon realizes he must outwit an unknown antagonist who wants him dead. "Early Winter" FANTASTIC, July 1979. "Planet Seven" AMAZING, May 1980. "Last Words" SPACE AND TIME, Summer 1986. "Doing Time" ABORIGINAL SF, July/August 1987. "Little Black Book" ABORIGINAL SF, Jan/Feb 1988. "Redshift Runaway" SPACE AND TIME, Winter 1988. "Naught for Hire" ANALOG, July 1990. "Naught Again" ANALOG, November 1992. "One Giant Step" DINOSAUR FANTASTIC, DAW, July 1993. SFBC edition December 1993. "When I Was Your Age" NATURE, 7 September 2000.